Colin Tizzard felt partly responsible for Native River losing his Cheltenham Gold Cup crown as the defending champion could only finish fourth to Al Boum Photo. 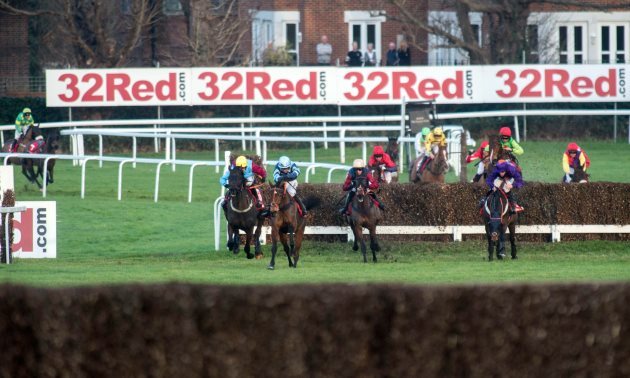 Running in the race for the third successive year, champion jockey Richard Johnson had to roust the nine-year-old along as soon as the tapes went up and even needed to given him a reminder with the whip before the first fence. After half a mile he had just about worked his way back to the front alongside his old foe Might Bite - but whereas last year he was always responding to Johnson's urgings, this time around it looked much harder work and Tizzard felt he should have replaced the usual cheekpieces with blinkers. While Thistlecrack was pulled up after never travelling with any zest, Tizzard was nevertheless pleased with Elegant Escape with the Grand National in mind. 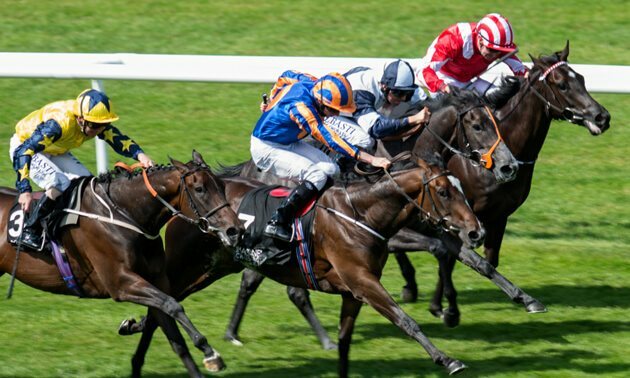 "When we put cheekpieces on him a couple of years ago it brought about loads of improvement, but I just wonder if he's getting used to them," said Tizzard. "I was thinking about putting blinkers on, which is the next step, but I didn't and watching that I wish I had. "He's just been a bit sluggish this year. He had to use a lot to get to the front, he was eighth at one point. "Elegant Escape has just run a perfect Grand National Trial, he jumped brilliantly." Johnson said: "I just didn't get a good start today and it was uphill thereafter. "To be fair to him they've come by him, but he's stayed on again to be fourth. "That was his third Gold Cup in a row, hopefully he'll be back next year." Owner Garth Brooks said: "He's run in the race three times and we've met him back in the paddock each time, that's not bad going." 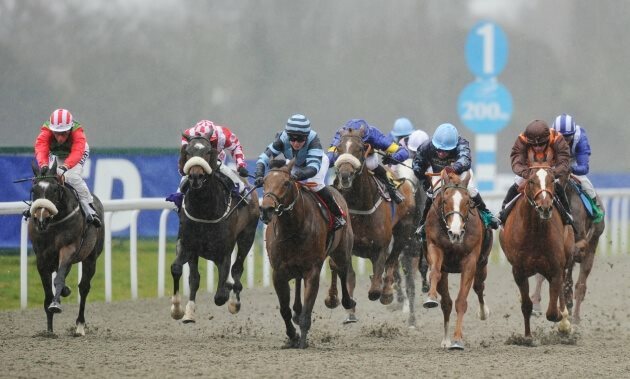 Anibale Fly had finished third to Native River 12 months ago and went one better on this occasion. Tony Martin was thrilled with the run, but would not rush into confirming another Grand National bid after his fourth place last year. "He's run a blinder, but this was the one time I didn't want Willie (Mullins) to win the Gold Cup!" said Martin. 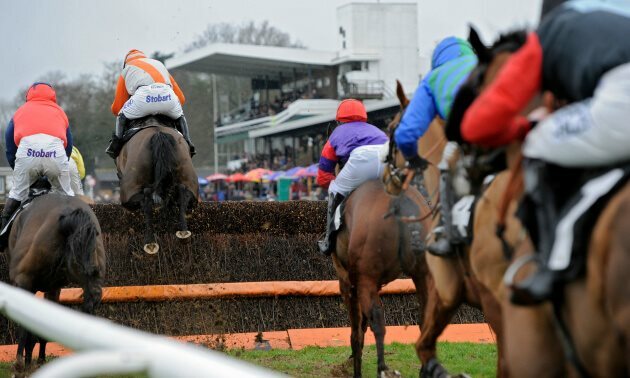 "He is in the National again and obviously he was placed in it last year after running so well in the Gold Cup before, but he's had a hard race there. "We'll just have to see how he is, it's only three weeks away." Nigel Twiston-Davies felt Bristol De Mai had answered his critics back in third. He said: "The experts are the experts and I haven't got a clue why they are experts. He was the joint top-rated in the race and he got beat, so maybe they are right! "He's been very sound this year. When he ran in this two years ago he'd had problems, but he's been fine this year. 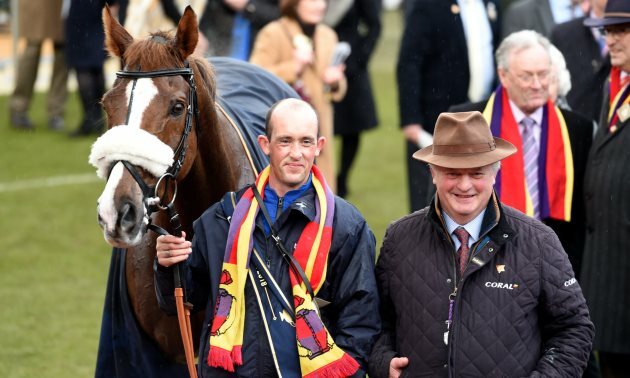 "He's just top class, not just at Haydock, anywhere - he's just finished third in the Gold Cup." Presenting Percy, the 100-30 favourite, could never really get involved and finished eighth. A post-race examination found he had finished lame on his right hind. His rider Davy Russell said: "We didn't get on great. It didn't really happen." 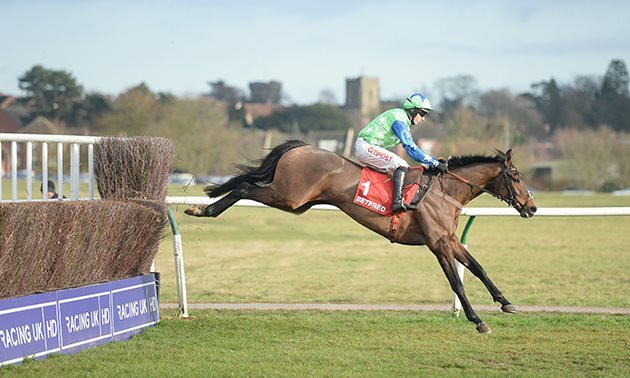 Owner Philip Reynolds said: "To be honest I thought he didn't jump anything like the way he did when he won here last year (in the RSA Chase) and he wasn't having a cut at his fences. Maybe he's not as good as we thought? 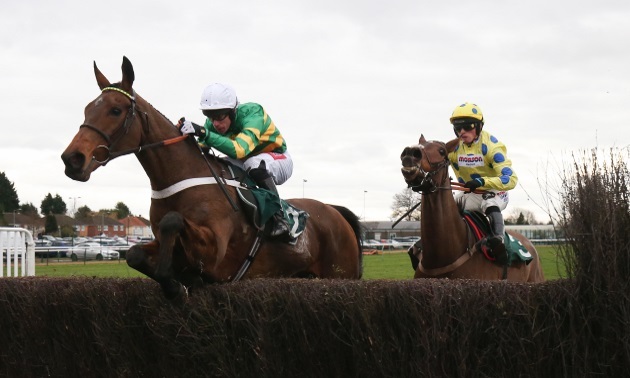 "I've had my ups and downs, but when you see what happened to poor Sir Erec (who suffered a fatal injury in the Triumph Hurdle), that's when you realise how grateful you must be when you still have a horse to go home with." The well-fancied Clan Des Obeaux was fifth for Paul Nicholls, who said: "When I got up this morning and saw that the ground was good to soft, soft in places, I was delighted, but when it started raining, my hopes dropped a little bit and I was worried that the rain would get into the ground, as it did. "But in all fairness to the horse he's run a blinding race to finish fifth and I have to be pleased with that. "While he can maybe go back for another King George, I have another in the locker (RSA Chase winner Topofthegame) for this one next year."